Blends jazz with a funky groove, pop and R&B styling’s then combines them with silky smooth vocals. Holden has been a professional background singer, ala, “20 Feet from Stardom”, touring and performing with artists such as Tom Jones, Stevie Wonder, Elton John, Norman Brown, and many more. Seattle based singer songwriter Nate b is best know for his work with pop soul band Bucket of Honey who has performed both locally and nationally. Starting his career in Seattle with the likes of the Seattle Opera and A Cappella group Kickshaw, Nate began to branch out from his classical roots and began singing with funk, R&B and Soul groups like Funky 2 Death and Richie Aldente. In addition to his night time music career he is also the Director of Education for STYLE: Songwriting Through Youth Literature Education, where he works with students to create music inspired by books. Check that out at www.learningwithstyle.com"
With eclectic chops and well-honed musicianship, Brian is a valuable contributor to projects of every type: film, TV, commercials and video games, CD projects – from pop, rock, jazz, latin, funk, soul to atmospheric and otherworldly. His signature is tone, taste and groove. An able sight- reader, he can also readily use his ears and instinct to find just the right part for your recording project. Credits include:Tom Jones, Natalie Cole, Gloria Estefan, Wayman Tisdale, Ilan Chester, Paul Taylor, Nelson Rangell and Lee Oskar. is a drummer, vocalist and songwriter featuring rock, funk and jazz styling. 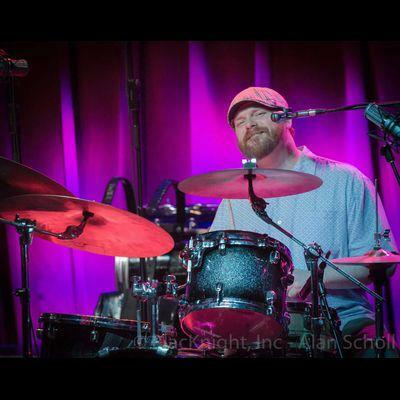 Having achieved a Bachelor of Music at Eastern Washington University, he teaches music at the Seattle Drum School and regularly performs with The Andy Coe Band, Welcome Strangers, and Flowmotion along with many others. Residing in Seattle, Scott is one of the region's most sought after drummers and regularly tours California, Alaska and the Northwest with various artists. He has played on and written songs for a number of albums including The True Spokes(2012), Flowmotion-Ghost Pepper(2009) and The RL Heyer Trio-Turn Me Upside Down(2009) Scott has performed with Lee Oscar, Skerik, Vicci Martinez, Tim Bluhm(The Mother Hips), Scott Law(Phil Lesh and Friends)Papa Mali(Seven Walkers) and the Everyone Orchestra.